This hall is available to all male students. 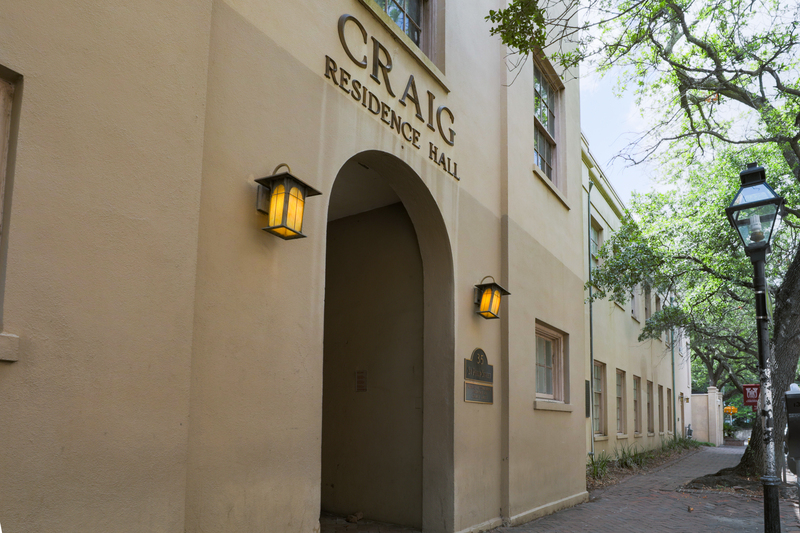 Craig Residence Hall is a three story, male only building in the heart of the campus on St. Philip Street. 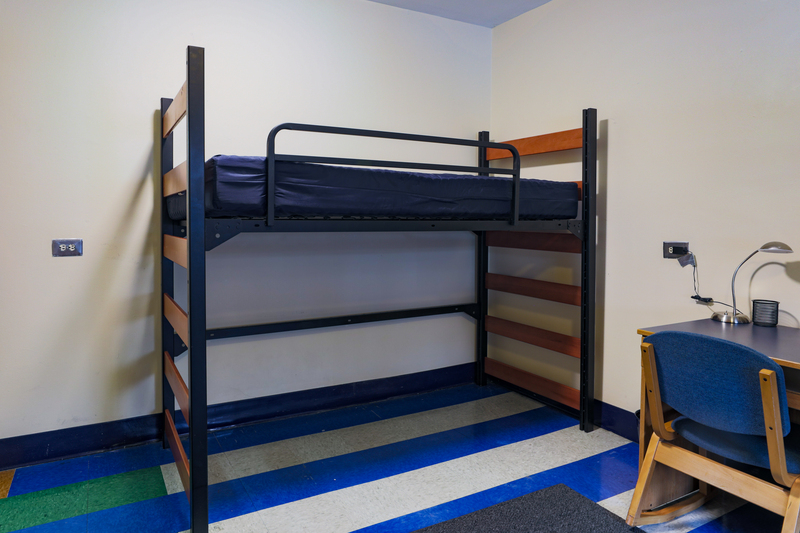 Constructed in 1961 (Craig Union) and renovated in 2004, Craig Residence Hall is air conditioned and features a large game/activity room, central laundry room and 24-hour information/security desk. Craig Residence Hall is arranged with all suites opening to outside corridors or the central game/activity room. Craig has several room layouts including: a three-bedroom suite with a common room and a large common bath, and a two, three and four bedroom suites that share a common living area and two baths. Craig also has IPTV and WiFi. Room dimensions vary according to specific location, but typical Craig bedrooms measure 11’-6” wide x 14’ long or 10’ wide x 15’-6”long, or 11’-6” wide x 11’-6” long where a standard 3' x 5' or 5' x 8' rugs easily fit. Lofted bed 36” wide x 80” long. Please note these mattresses accept only "twin-long" sheets. Wardrobe cabinets, 30” wide x 24” deep x 72” high. The bottom portion of the unit contains 2 drawers (30" wide x 24" deep). Wardrobe cabinets are equipped with a “hasp” that allows students to lock the wardrobe (but not drawers) with their own padlock.